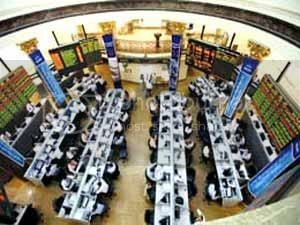 Cairo: Dr. Khaled Serry Siam, head of the Egyptian Stock Exchange that the resumption of activity of the stock market depends on whether or not to ensure the stability of the banks in Egypt. Seyam said in a statement: "We have to wait to follow up the performance of banks on Sunday then we will decide whether to make a decision to resume the work of stock or not." He explained in his statements reported in the Kuwaiti news agency "KUNA" that the work of stock market is closely linked to the performance of banks, which is why we have to wait until tomorrow to follow events, denying the existence of any internal failures on the stock exchange hinder the resumption of its activities, and stressing that it depends on banks. He stated that the Egyptian stock exchange has suspended operation since January 30 last because of the events that took place in Egypt from January 25, in the light of the announced stock exchange to suspend its activities once again last Wednesday because of the suspension of the banks, which is scheduled to resume operations tomorrow after compulsory holiday that took place during the last period due to labor protests witnessed by Egypt after the departure of President Hosni Mubarak. The Central Bank was forced to take a decision suspension of work in banks as of last Tuesday to avoid any problems that may occur because of the demands of the workers.